Continuous learning is big for me. I'm always on the lookout to grow my skill set and knowledge base. 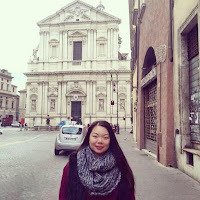 Earlier this month, I came across a post by The Coffee Date's Diana Trinh in Melyssa Griffin's Blog + Biz BFFs Facebook group. On a scale from 1-10, I'd probably rate myself as a 5 on the scale of Photoshop skills. So I was really excited to learn that Diana had created a free Photoshop-based course on how to create an attractive blog sidebar. Not only did I walk away with a big boost in my design skills, I also took away that Diana is a great teacher. I wanted to share with you a new course she is just getting to ready to launch on June 8th! 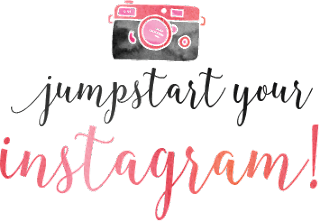 It's called Jumpstart Your Instagram, which as you know is my favorite social media platform. I'm always looking to boost my photography and networking skills, and I'm really looking forward to making this possible with her help! An entrepreneur who wants to learn how to use Instagram to promote your business and get more clients. A blogger who wants to grow a larger following, and get noticed by brands online. A creative who wants to get more collaborations and gain more exposure in your industry. Stressing out about how the algorithm change will affect you and your account. Dana Dyer is a storytelling photographer who specializes in documenting families, branding businesses, and wiping noses (she's also a mom of 7!). She will be walking us through shooting, lighting, composition, and editing (with a a LR tutorial!) to help your photos both look better and compliment your brand. Patty Rivas is a Social Media Stategist and owner of SocialStorm Media. She will be showing you how to properly edit your Instagram content so that you'll be able to catch your target audience's attention. You'll learn the ins and outs of these apps and be well on your way to creating beautiful images that will make people stop scrolling. I hope to see you in the course! P.S. Diana has asked me to be an affiliate for her course, but as a reminder, I only recommend things I love! Thank you for your ongoing support.